EPHEC University College in Brussels is organizing the 5th edition of its “INTERNATIONAL BUSINESS WEEK” from 18th to 22nd March, 2019. It will be an opportunity for an intercultural and creative project in an academic context. Various groups of second-year students from our EPHEC Bachelor Degree in Accounting will be mixed with students from our partner or associated institutions in Belgium and Europe, such as yours. Therefore, guest students are expected to study at least at Level 2 and have a background in Business / Accounting / Finance / Management studies. The topic is a Business Case Study developed in collaboration with a typical traditional Belgian brewery. It will address the following challenge : “ How to help a Belgian beer brewery to develop its diversification strategy through innovative ideas”. Participation costs amount to an all-inclusive 190€. 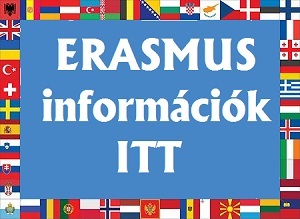 A participation certificate for 2 ECTS will be delivered to all participants. In order to favour the widest possible diversity of countries represented, we will limit the number of participants per institution to 3 students per institution. · To deliver a 3-hour module to our guest exchange students staying with us for the next spring semester : this is another event set up for that other group during the same week. NB : A separate invitation for that “International Teaching Week” will also be distributed shortly. Further details and a provisional planning can be found in the attached invitation as well as on our website at https://www.ephec.be/international-business-week-march-2019 . A promotional poster is also attached for distribution in your institution. The registration deadline is set for December 21st 2018. Students will be expected to wait for the green light from the EPHEC team before proceeding with the payment within a week. NB : Lecturers do not need to pay for their registration but will need to make their own accommodation arrangements. Suggestions will be provided upon request. · Mrs Clotilde Verhaeghe (c.verhaeghe@ephec.be) for other (pedagogical) issues.